Gastroenterology is a medical specialty that deals with the treatment of the digestive system. 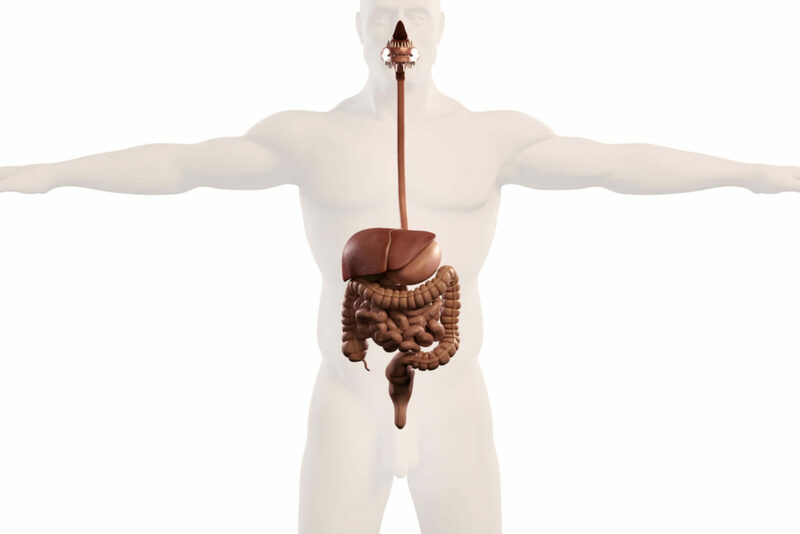 Gastroenterology focuses on normal digestion, absorption of nutrients, and metabolic processes. Gastroenterology addresses diseases of the digestive organs, namely the esophagus, stomach, bowels, liver, pancreas and gallbladder. A gastroenterologist’s responsibilities include overseeing endoscopic techniques, developing strategies to manage chronic disease, and interpreting diagnostic screenings for diseases such as colorectal cancer. Gastroenterology is a branch of internal medicine. One specialty of gastroenterology is hepatology, which is concerned with the diseases of the liver or biliary tract. Gastroenterologists may work with other specialists such as oncologists or endocrinologists to develop comprehensive treatment plans for ailments and diseases. Common diseases that would cause a patient to seek treatment include Barrett’s esophagus, gastroesophageal reflux disease, alcoholic liver disease, pancreatitis, hepatitis, ulcers and cancer. Additionally, symptoms include abdominal pain, ulcers, diarrhea, constipation, jaundice and acid reflux. In addition to routine diagnostic tests, more frequent procedures include luminal stenting, capsule endoscopy, and endoscopic mucosal resection. Luminal stenting is a procedure in which gastrointestinal stents are surgically placed within the gastrointestinal tract of patients who have obstructions in their intestines. Capsule endoscopy is a procedure in which a patient swallows a small capsule that holds a camera, which travels through the body and scans for disorders. Endoscopic mucosal resection (EMR) is an endoscopic technique that removes areas of early cancers in the gastrointestinal tract. While there are risk factors such as age, gender and family history that might predispose one to gastrointestinal diseases, there are many measures that are under one’s control. The most useful preventative measures include exercise, avoidance of smoking or an environment with smoking, a diet rich in fruits and vegetables with less red meat, and management of one’s weight and blood pressure. Those with a normal risk of colon cancer are advised to participate in screenings starting at age 50, but those with a family history of such disease are advised to begin screenings earlier. There are misconceptions concerning bowel regularity. A daily bowel movement does not always constitute a healthy digestive system. A healthy man or woman can have variability in his or her bowel regularity, ranging from three times a day to three times a week. Gastrointestinal health is better represented by consistent and routine digestive patterns. If a patient is concerned about his or her digestive health, the best approach is to speak to a doctor. Another myth concerning gastroenterology is that colon cleanses offer digestive health improvements. The colon cleanse is an unreliable health fad that fails to remove toxins from the bloodstream and may actually contribute to immune system deficiencies when an unnatural amount of stool is removed.